You want to expand your business and life. Grow your business and expand into your life with heart and soul. You are a magnificent, powerful divine being as is your business. Brought to life through the choice of your conscious creation. As a Souldriven, heart based Entrepreneur your business is not just what you do, it is who you are. When you allow your business to be the embodiment of the expression of your soul‘s purpose you step through one of the most powerful gateways of potential growth. Opening yourself up to healing, transformation, union and expansion. 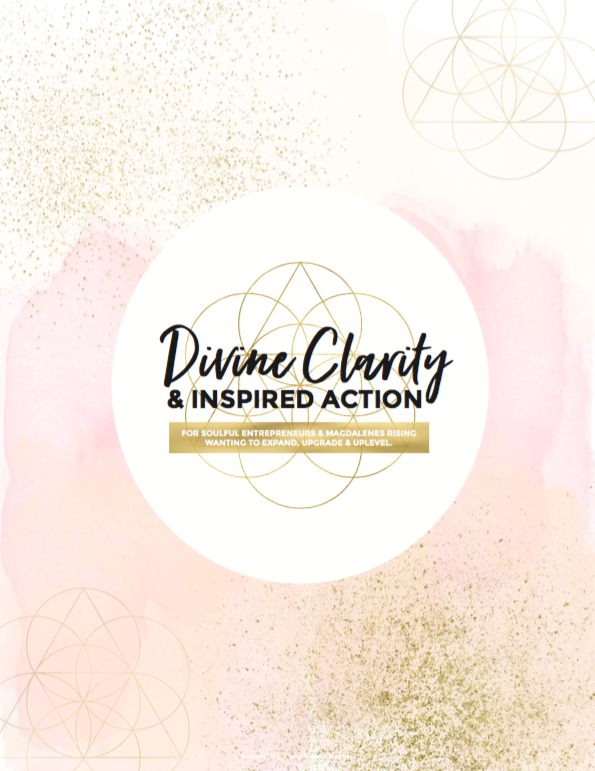 Your business becomes the embodiment of truth, love and healing creating a re-sounding call throughout the Universe calling in those you are here to serve; your clients, customers and co-creator‘s. All arriving at your door asking for what you have to offer, allowing you to fulfil the ancient contracts you entered eons ago, supporting their awakening, healing and transformation while you help shape a world of peace, justice and kindness for everyone. For the past seven years I have coached the most beautiful, illuminating souls – Yoga Teachers, Graphic Designers, Healers, Coaches, Mystics, Witches, Authors, Writers, Photographers, CEOs, Translators, Online Business Managers, Virtual Assistants, Souldriven Heartbased Entrepreneurs and Magdalenes Rising facilitating and catalysing their commitment of building a better world for all through the expansion of their business and personal growth. I help them lead and expand with love. Together we marry your souls divine purpose and expression with divine clarity and inspired action so that you may bring forth that wish you were here to birth. I do not have the holy Grail, no One right away, nor three easy steps anything or quicks fixes – quite simply because I do not believe in them. Instead together we bring to life the powerful expression of your unique soul allowing you to embrace and I’m by your business from the inside out with all of your heart and soul. I do this through one-on-one coaching and group work. “Mariaestela combines savvy business insight and strategy with deeply mystical inspiration. Hers is a presence of a truly honorable and humble teacher, the one who illuminates everyone around her, sees the best and evokes the best. – Violetta Pleshakova | Transformational Trainer, Intuitive Mentor & Magdalene Devotee.